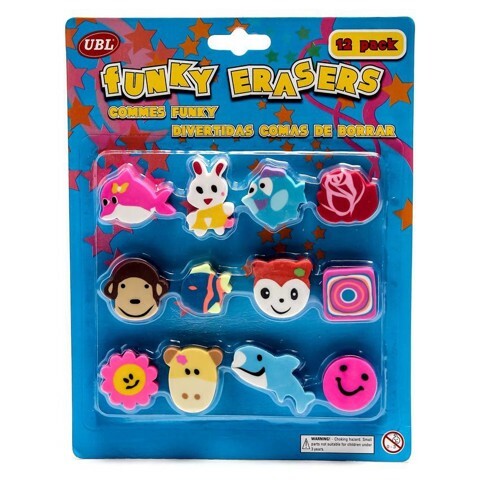 Erasers Funky 12Pc Set Assorted. 11mm Thick 30-40mm In Size. 12 Assorted Shapes - Animals | Fruit | Rainbow l Flowers. PVC. 170G Packaging: Blister Card.